Please use our contact form for your inquiry and constructive criticism. Help us improve our services and products even more for you. Use the service: important information for farmers. 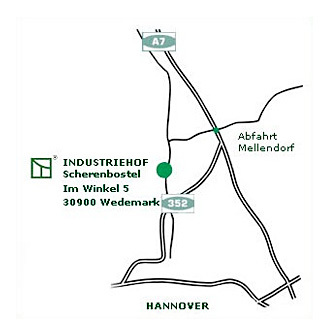 While Industriehof Scherenbostel only supplies to the agricultural machinery trade and industry, you are still welcome to use our catalog as an information reference and ordering tool. More than 18,000 parts, detailed product descriptions and technical information make ordering easier for you and your specialist trader. Klicken Sie hier, um die Anfahrtsskizze zu betrachten.